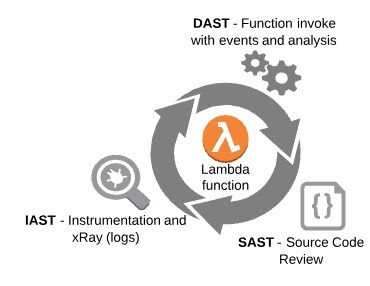 In the last two blog posts, we covered an approach of pentesting lambda functions, using DAST and SAST methodologies, by footprinting, enumerating, scanning and tracing lambda functions to discover and verify security vulnerabilities. 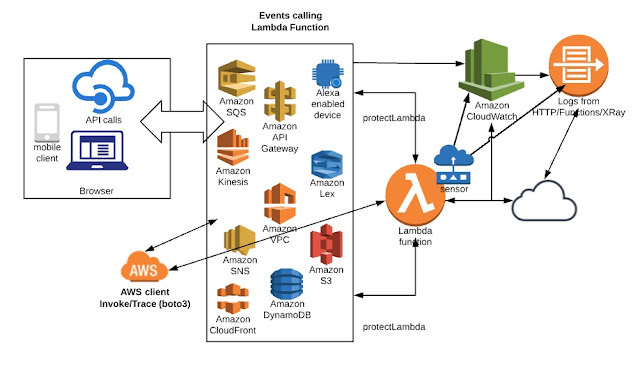 In this blog post, we will leverage instrumentation/IAST (Interactive Application Security Testing) approach to analyse and test lambda functions. This approach involves analysing the application behaviour at run time and then using DAST for inducing attacks. 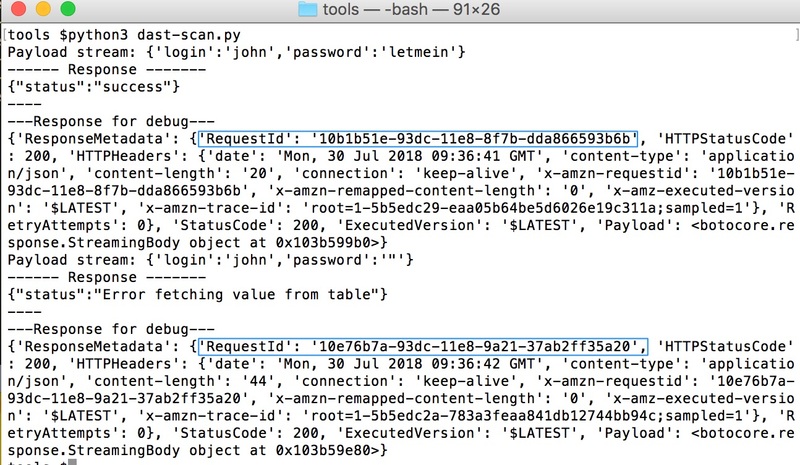 Also, a combination of DAST, SAST and IAST can be used to get a comprehensive view of the application, even at run time, and then discover and confirm vulnerabilities. This helps in getting a map, but from a pentesting perspective we are more interested in putting hooks and sensors into the lambda code. We can do this using X-Ray SDK (https://docs.aws.amazon.com/xray/latest/devguide/xray-services-lambda.html). In the above code, we are defining a sub-segment with an annotation and then using the defined annotation as our sensor. Hence, we can start recording the runtime values before or after interesting the API calls. In the above case, we are recording the "command" variable before it goes to its sub-process. All these interactions will get recorded at runtime by X-Ray services in the logs. 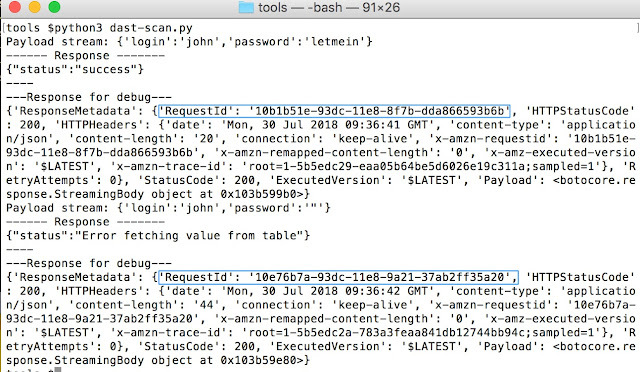 In this way, we can inject a payload and see our injected payload go through to initiate a successful command injection after the function is invoked (a detailed process of this was explained in the last blog post). Apart from AWS X-Ray, we can also use other available tools for debugging purpose. For example, let’s use the following package (https://github.com/mihneadb/python-execution-trace) to get a runtime variable dump along with the executed code. We get its @record and it will print the log to CloudWatch using a simple "print" function. We get a full dump of all the variables with line numbers. Also, we can see how values are changing in runtime line-by-line execution. Hence, it can have much more valuable information for the analysis needed to detect a vulnerability. In this way, we can add multiple "print" functions in between the code and use something like "locals()" to dump runtime variables as well. We can implement the following strategy to get a 360 degree view of the lambda function. All the events will be recorded in the logs as per the injected sensors and we will have the data to be analysed. By analysing this data, as well as the output of the invoked functions we will be able to detect and confirm a vulnerability. 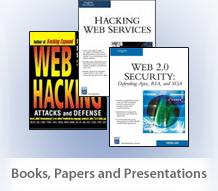 Moreover, this information would also aid in crafting exploits for the detected vulnerability. 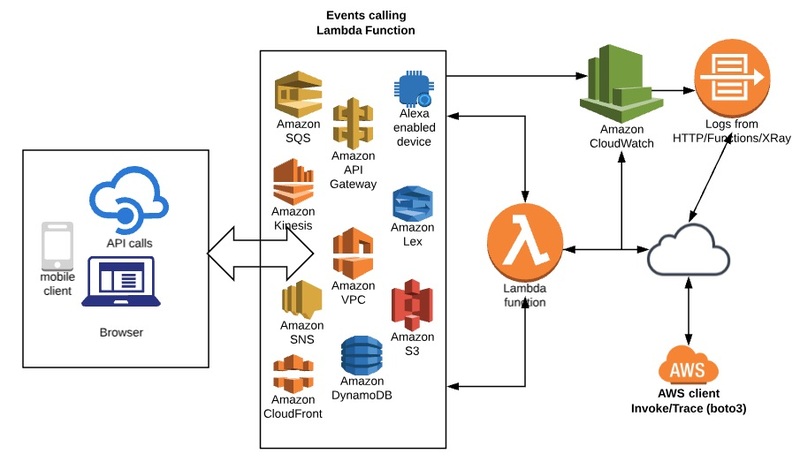 A most common use case scenario of lambda functions involves asynchronous functions, where there is no output coming back to the tester. This makes vulnerability confirmation difficult for the tester. 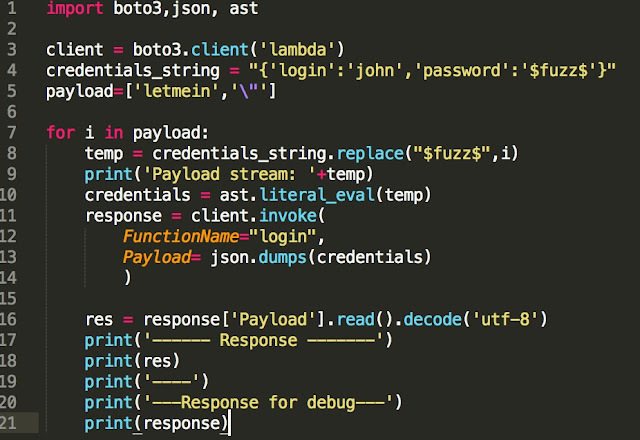 Thus, IAST/Instrumentation is a very interesting and more or so an imperative approach to pentesting lambda functions. There are multiple tools and approaches that can be deployed for instrumentation. Moreover, a combination of all the three approaches, DAST, SAST and IAST, would save a lot of effort and would help in detecting a vulnerability with much more precision. It would help avoid unnecessary guesswork and focus on identifying pointers, doing a run time analysis, crafting customized payloads with correct test cases and analysing the logs to detect loopholes in the application from a security standpoint. In the last blog post, we talked about the basic methodology for lambda testing where we covered enumeration, profiling and invocation. 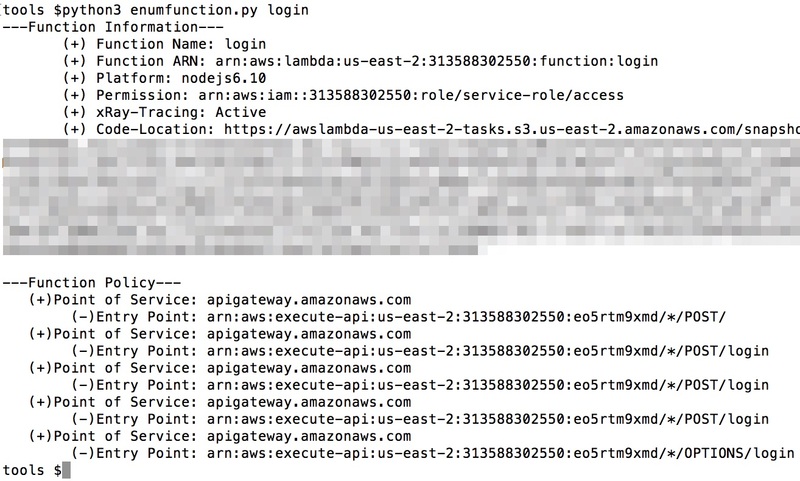 We can do a quick fuzzing of the lambda function by passing a set of payloads. 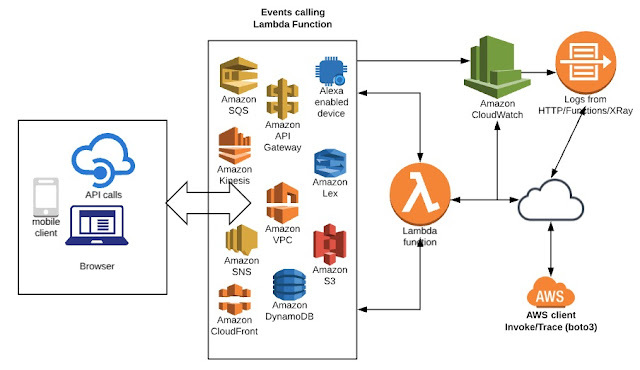 Lambda functions can be used to build micro services, which get incorporated into the web applications as part of the architecture. These functions can be called in both synchronous as well as asynchronous manners depending on the architectural requirement. In this blog post, we are going to cover another aspect of testing lambda functions which mainly compromises of leveraging CloudWatch logs while performing penetration testing. Let’s take a real life scenario as shown in the below figure. In this case, there is a web application (enterprise financial application) that is used from various devices like mobile or computers across the globe. API's are also used to extend the use of the application such that it can be leveraged by third party like suppliers, vendors, customers etc. 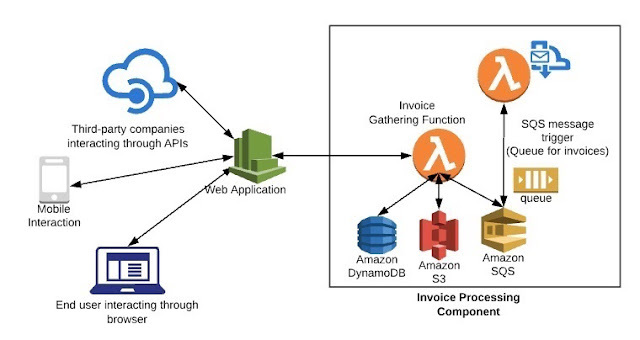 As shown in the application architecture, various AWS components are used by the web application. The users of the application submit an invoice for processing through the web or API where they perform various activities like uploading a file, providing the file name, other basic information etc. At some point in time, SQS triggers the second lambda function via queue to process the invoice. 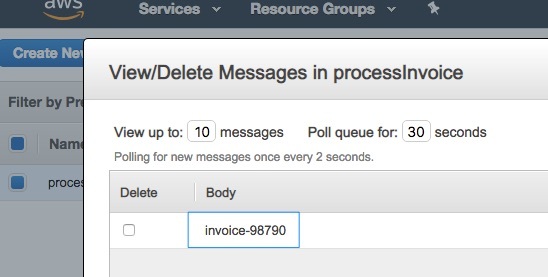 This queue provides the invoice file to the lambda function which processes the invoice. It does the needful and gets the task done. 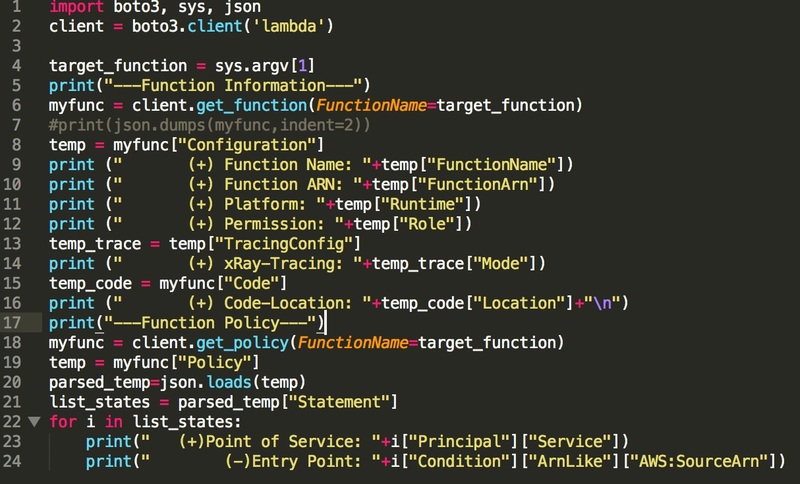 If we look at the threat model for the above components, one of the important areas to check is the asynchronous lambda function, which is processing the SQS message. Let’s do the testing of that function and see what kind of issues we can discover. We can go ahead and enumerate the function details as mentioned in the last blog post. We get the following response and profile for the function. We get basic information like technology stack, permissions, role, code and mapping. Hence, we can start injecting messaging or SQS events to this function and see how it responds. Before that let’s take a quick look at the AWS console. 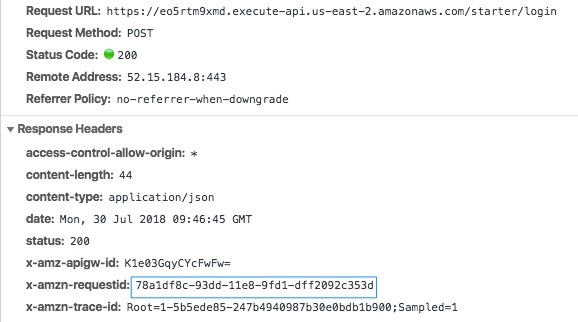 Here is the SQS position on the AWS console at a given point in time. 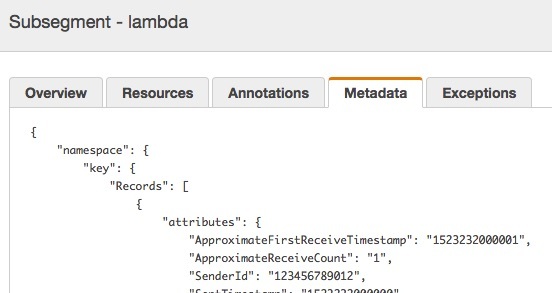 We can look at the log for the lambda function for which the trigger is being set for the queue. We can clearly see the event being fired and the message received and processed by the function. We can now directly test the function by supplying various values, which are controlled by the user. Below is a sample of the event body. The “body” is controlled by the user, which makes it an interesting area to fuzz. We can use the following code to invoke the function where the event is taken from the file. We can use the Request Id to trace the log and see what went behind the scene. Let’s use the following code and enumerate CloudWatch logs for the call. We invoke the function and see a different response. We can see entries in the log. Here, we are passing the URL and trying to extract the AWS access key. Once it is extracted, we use cURL to send the URL to a different location. We can go and see the logs and see the response since that URL is controlled by us. If the command gets executed successfully then we know it is indeed vulnerable. Here is the message event we try to inject. Hence, this way the vulnerability is detected. We can see the code and find the following line using standard SAST approach as well. 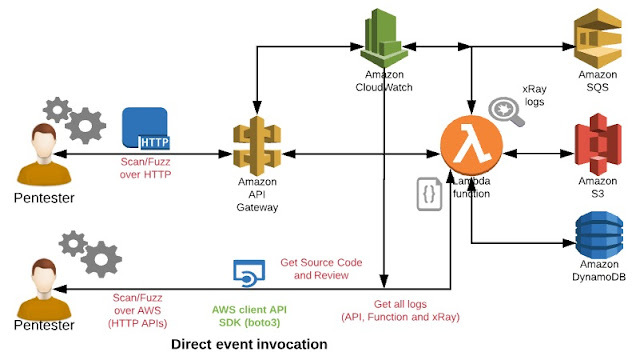 Lambda function testing is relatively simple when we focus on fuzzing the event and injecting the payload directly through AWS APIs. 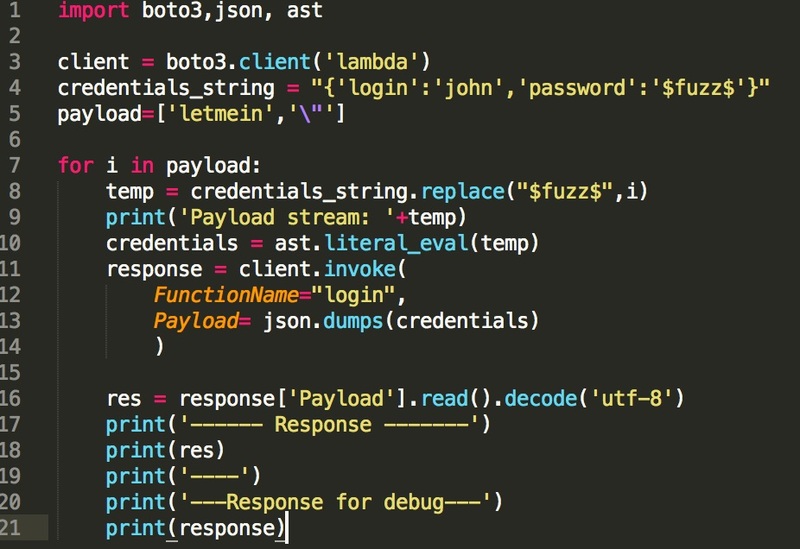 It is imperative to identify threat points and fuzz with the right payloads at the right place. Some of these events are not synchronous and are triggered in various different ways, so it is not possible to simulate them like an actual event fired from different sources. It is easy to do direct simulation like we did in the above case. 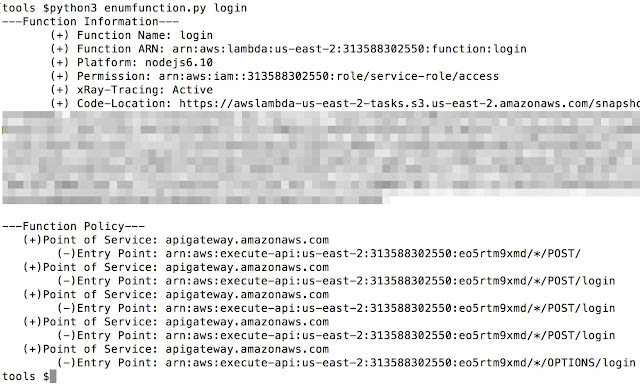 Also, there are different data collection points for AWS function - we have covered DAST and SAST in this case. We can leverage IAST/instrumentation via X-Ray or other methods provided by specific languages, which will be covered in the coming blog post.